For example, if you sell luxury blinds in the UK, who says you can’t sell them in Spain or France? There might be huge potential in those markets. You need to find out. To do this, simply translate your list of keywords into a popular language, like Spanish or French. 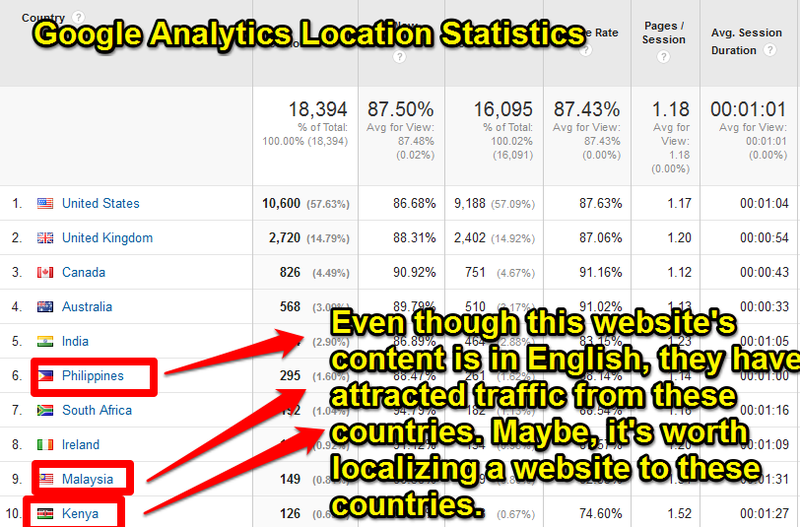 In this image, I take a look at a website’s Google Analytics statistics to see which countries may be worth targeting. 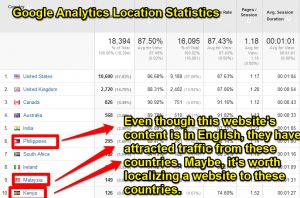 For this specific website, it looks like the Philippines and Malaysia provide a sufficient stream of traffic each month.